We will continue to explore more blogs for kids from where we left in the first blog. We believe every blog will continue to inspire and spur your kid to action. 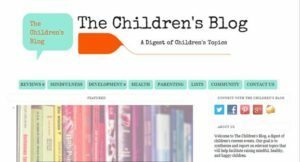 There are lot many kids’ blog that you can add to this list to make it more comprehensive and complete. But the point that we wanna make here is that kids should follow blogs where their passion and interest lie. With some decent writing and expression skills, kids can easily become expert bloggers as well. Happy blog reading!